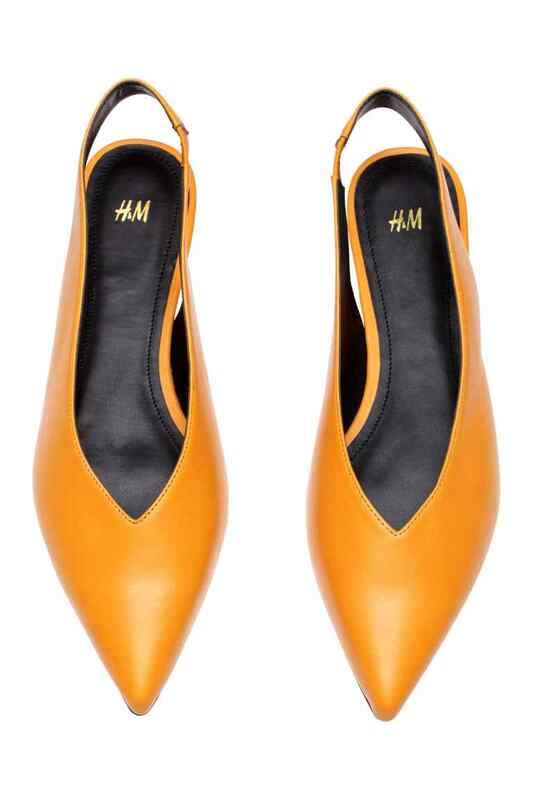 The one item you can rely on to be a wardrobe transformer during the Winter- Spring transition is footwear. They are always the game-changers for me. Shoes can always be relied upon to elevate any outfit I reckon. In my case it's a splash of colour that's breathing a bit of new life into the black and grey uniform I seem to be favouring at the moment. I bagged a bargain pair of red pointy flats from M&S a few weeks back that I adore with my dungarees. This week I have had my head turned by a softer ballet-pump in red.....the perfect shaped shoe to go with my new Gap cropped jeans, though they will also be fab with these slouchy H&M grey trews.....and my Zara khaki army trews (similar here). I could go on but I'll spare you as I have a feeling these may not be off my feet! Yup....I'm officially obsessed! A chap manning the fitting room in Topshop had these on (yes....you did read that right, a he) and he assured me they were like wearing slippers.....and by gosh he was right! They are supersoft and so comfy to wear......I will be living in them! Now......whilst I was in Toppers, Oxford Circus scooping the Kick's up I literally had to tear myself away from these beauties too! 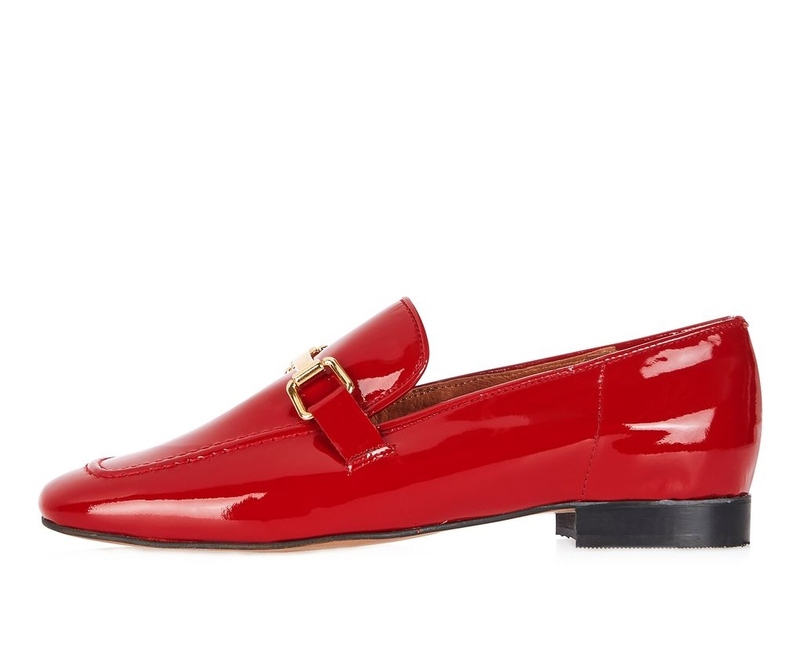 I do have a soft spot for loafers, I wore my white Office Dapper's to death last Summer so I could well end up placing a cheeky order for these Karter which are a slightly more square-toed than the Dapper's. Now I've braved a bit of red I'm checking out other colours. I would love to get a bit more colour into my wardrobe and when the lovely Teeclutter shared these on Instagram I thought this shade would be great with the navy pieces I appear to be accruing at the moment. The flats are definitely ruling my tran-seasonal wardrobe this Spring. I am ready for a change from boots and my trusty trainers and I think all of the above will be brilliant for ringing in the Spring changeover. I am all over anything pump-like as though I haven't worn these yet from M&S, I adore them. My Urban Outfitter Jane's strappy ballet flats (alternative here) are also itching to be worn as are these New Look leopard print flats. I think I'm fully stocked in the footwear department for the time being. What's your transitional choice of footwear? I would love to hear! A couple of outfits to share....the ankles have been out! Mango jacket, past season fab alternative here! All we need now is for Spring to appear so that we can start wearing those all-important new purchases! Back soon with some more transitional rumblings! Hi Michelle love those red ballet shoes! Did they come up small or tts? Thinking they would look great with all my grey and black for (Australian) winter. Oooh shoes! I am addicted to them. I now ordered pink mules!